Dating all the way back to last winter, I was told not to worry about the Cleveland Indians’ roster inactivity. It’s nothing to freak out about, people would say, the team is just waiting to make its big moves at the trade deadline. Well, the moment everyone told me to keep an eye on has passed, and the Indians’ idea of a big move was trading for aggressively decent center fielder Leonys Martin. 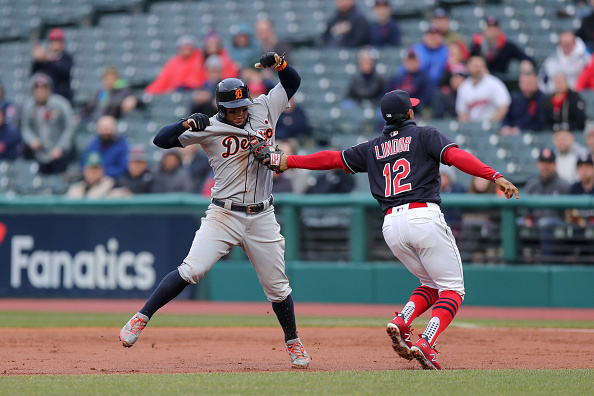 By choosing to make a small tweak as opposed to a significant improvement, the Indians aren’t much better now than they were coming into today. No, I didn’t honestly think Cleveland was going to swing for a Bryce Harper deal. Yes, I’m aware the team recently bolstered the bullpen by adding Brad Hand and Adam Cimber. Still, is the Tribe that much better today than it was before the trades? Does the team stand a better chance to make a deep postseason run now that it added a mild improvement to the outfield? Martin is a plus-defender who should settle things down in center. He’ll limit the amount of times the Indians have to rely on Rajai Davis or Tyler Naquin. He’s having a decent year at the plate, and his 1.8 WAR is his highest since 2014. He’s also hitting .176 against left-handed pitching, meaning Cleveland will still be forced to platoon him. He does little to help the fact the offense is still incredibly top-heavy. All in all, Martin is an OK pickup for a team which has been decidedly OK all year. He won’t hurt Cleveland’s chances for success, but hardly helps them much. That’s fine. It’s also not enough to close the gap with rest of the American League contenders, which should’ve been Cleveland’s primary goal. Again, this is a team which is essentially in first place by default, benefactors of a laughably terrible supporting cast in the AL Central. While a postseason berth looks certain, they remain a class below the Yankees, Red Sox and Astros. There’s still some time to find an upgrade, as many have responded to Cleveland’s lackluster day by pointing out the team will be near the top of the waiver wire order come August. For all we know, this still isn’t a finished product. That said, right now the Indians are only marginally better than they were before their acquisitions. Hand and Cimber were upgrades, sure. At the same time, the deal for these two wasn’t so much an improvement as it was a necessity. The Indians added Hand and Cimber not to upgrade a solid relief corps, but to instead put out the dumpster fire the bullpen had become. I’m not trying to be negative about it. Still, would it have been necessary if Cleveland hadn’t spent the entire offseason watching key relievers depart and responding by doing absolutely nothing? This brings me back to the opening note. I’d like to think Leonys Martin wasn’t what everyone had in mind, because it sure as hell doesn’t help the Indians’ chances come October. The front office has had all season to prep for today, to see how much better the Yankees and Astros were and figure out what it could do to stay in stride with the AL’s elite clubs. Instead, the decision was made to, for the most part, bet on the roster as is. A roster which currently boasts the sixth-best record in the American League. Which is only in first place because the rest of the division is a travesty. Which has lost its last two postseason series despite having a two-game cushion in each. As you can see, I’m not as bullish with this wager as the Indians are.